How Can I Treat Dry Peeling Skin? Vaseline is a simple remedy for dry, peeling skin. Lotions and topical creams are frequently used to prevent itchiness. 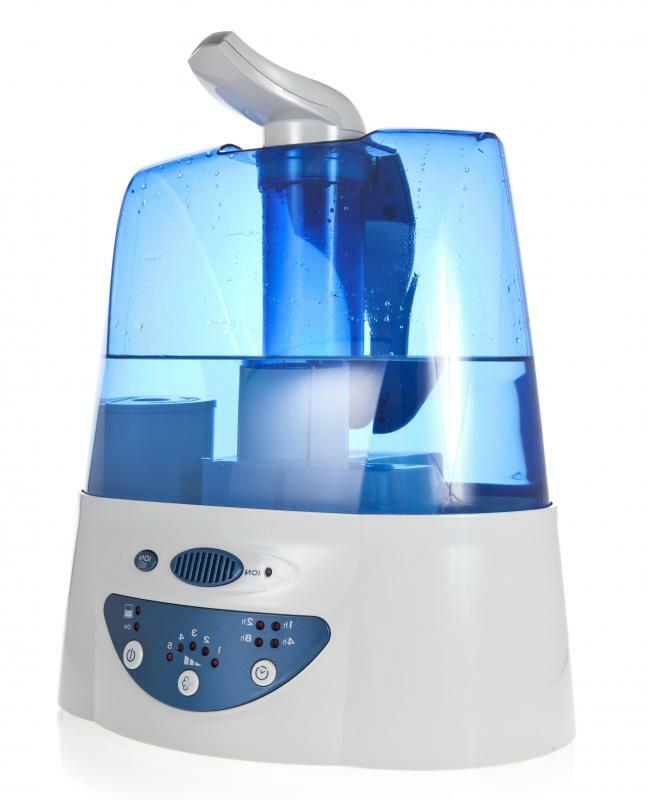 Using a humidifier can prevent or treat dry peeling skin. Dry peeling skin is not usually a cause for alarm and can generally be treated by using lotions or moisturizers, drinking more water, and eating right. Problems like this may be caused by the body naturally replacing the top layer of skin every month, or may be caused by dehydration or the sun. If the peeling and dryness are excessive and occur with other symptoms such as irritation and itchiness, a condition may be present that must be treated by a doctor. Lotion or moisturizers can often be used to treat short-term dryness effectively. Every month, on average, the entire top layer of skin, or the epidermis, is replaced with new skin. This process may not be noticeable at all to some people, while other people may find that dry peeling skin develops during this time. Topical moisturizers are often adequate to soothe problems that emerge during this natural process. The use of humidifiers in the home and the consumption of plenty of water can help to both treat and prevent dehydration of the skin. Dehydration can occur in the skin when environmental conditions are poor. Skin can also become dehydrated during the summer and winter months when the air is dry. There are several home remedies for sunburn, a common cause of dry peeling skin. Too much exposure to the sun causes dry skin, and can lead the damaged top layer of skin to peel off prematurely. Taking baths in water treated with baking soda or applying yogurt, vinegar, milk, or aloe vera to sunburned skin can ease this type of dryness. Peeling and dry skin caused by sunburn that is accompanied by fever, heart palpitations, nausea, or extreme thirst must be taken care of by a medical professional as quickly as possible. Effective treatments exist for some chronic skin conditions that cause dry peeling skin. Eczema is typically treated with the use of lotions, over-the-counter or prescription anti-inflammatory creams, and topical creams to relieve itchiness. Psoriasis is a disease that can cause peeling dry skin on many different areas of the body. It is usually treated with topical creams and medications. When dryness and peeling are side effects of ingestion of a medication, cessation of the use of that drug is often adequate to relieve symptoms. Some allergic reaction can be dangerous, however, and must be treated immediately by a medical professional. Occasionally excessive peeling and dry skin can signal a medical condition like a skin disorder, Paget’s disease, or even certain types of cancer, so very persistent or severe dryness and peeling should be evaluated by a doctor. How Do I Deal with Dry Skin on the Nose? How do I Care for Neonatal Skin? How do I Choose the Best Dry Skin Products? How do I Choose the Best Dry Skin Mask?